The auto transport industry has certainly changed over the past 60 years or so, as technology has advanced and more and more people have access to automobiles. Now, with the advent of the internet, the auto transport industry is the biggest that it has ever been. Hundreds of thousands of people ship their vehicles world wide every single year, which is simply astounding considering the overall cost of auto transport in terms of time and money. And when it comes to transporting your vehicle, you want to save as much money and time as possible. Especially money. People love saving money, and a lot of auto transport customers want to save a lot of money because they’re spending a lot of money to get their vehicles shipped. This is why many people are interested in drive away auto transport services – usually it’s cheap and it is indeed quicker than regular auto transport because with drive away, someone else is driving your car from the pickup to the delivery locations, instead of transporting it on a truck. We don’t recommend drive away auto transport services here at Direct Express Auto Transport. For one, they are not nearly as safe or secure as auto transportation, because there’s literally no regulation for drive away auto transport. You are essentially hiring another private individual to drive your car hundreds and thousands of miles for you. How can you be sure they won’t just take off with your car, change the plates and keep it for their own? 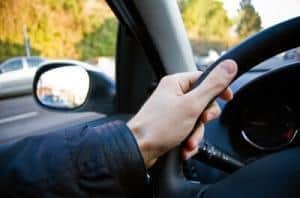 This is kind of a scare-tactic on our part, sure – most people looking to drive for someone else are perfectly honest people who just happen to want to drive hundreds of miles for reasons of their own, and there are a lot of different reasons why people would want to drive a car for someone else. What makes drive away services enticing is that drivers don’t have any other stops to make, so they could conceivably make it across the entire country in as little as 4 days. Auto transport carriers take anywhere from 10-14 days to go across the country. However, drive away services can be hard to find and many people don’t want to take the risk. It is quite unregulated, unlike auto transport, and there is little to no recourse available to you if your vehicle does get stolen by someone. This is why we generally recommend sticking with a standard auto transport carrier: it may be a bit more expensive, and it may take a bit longer, but it’s going to be a lot less of a hassle and will give you more peace of mind than any drive away service could. If you’re interested in transporting your vehicle, you can fill out our free online car shipping quote form and get an instant auto transport quote. You can book your auto transport order right there online or you can call our toll-free telephone number at 800-600-3750 to speak to one of our live auto shipping service representatives who can answer your questions and explain more about the auto transportation process.